"All the weapons used had multiple magazines with about 30 rounds per magazine." Nice, Anonymous finally using their powers for good. Luv it. Their audio to WBC is priceless. I agree with everything Red said except I agree with your point. My husband is a major hunter and has many guns and rifles, but NO assault rifles. No need for them. They are for the military and maybe LE only and should stay that way. I agree our forefathers knew what they were talking about, but there were no assault rifles back then either. Red, I am totally with you on this. They just don't want to stop until we are just like Europe... or NY city. Criminals do what they want. Your big line of defense will be calling 911, unless of course they stole your cell phone too. Forget it. I don't want to live like that. Might as well be a declawed house cat. The crazy people are out there and unfortunately, the Internet is partially to blame. These fools have been provided a platform for their insanity and social media makes these loser cowards bigger than they really are. Check out the latest loser who now finds himself arrest on making terror threats. Police in Maury County have confirmed the arrest of a 19-year-old who made threats via Facebook to "go on a rampage similar to the one in Connecticut." Sources within the Columbia Police Department told Nashville's News 2 that Shawn Lenz has a record including one domestic assault arrest. In full, the Facebook post read, "feel like goin on a rampage, kinda like the school shooting were (sic) that one guy killed some teachers and a bunch of students." This guy might as well kiss his future and job opportunities bye, bye. When we had the Tylenol issue, caps were changed on everything. When the shoe bomb attempt happened, we have to take shoes off at the airport. We can't bring any liquids except for tiny amounts on the plane. Robbie Parker defines unwavering faith in God as he comes to term with the tragic loss of his precious Emily. When I consider my 6 year old grandson ... I concede that I honestly do not know if my faith would sustained me. Would I be reaching up for strength or would I be lashing out in anger? Daniel 6:10 - Now when Daniel learned that the decree had been published, he went home to his upstairs room where the windows opened toward Jerusalem. Three times a day he got down on his knees and prayed, giving thanks to his God, just as he had done before. Roman 8:28 - And we know that in all things God works for the good of those who love him, who[a] have been called according to his purpose. 1 Thessalonians 5:18 - Give thanks in all circumstances, for this is God's will for you in Christ Jesus. 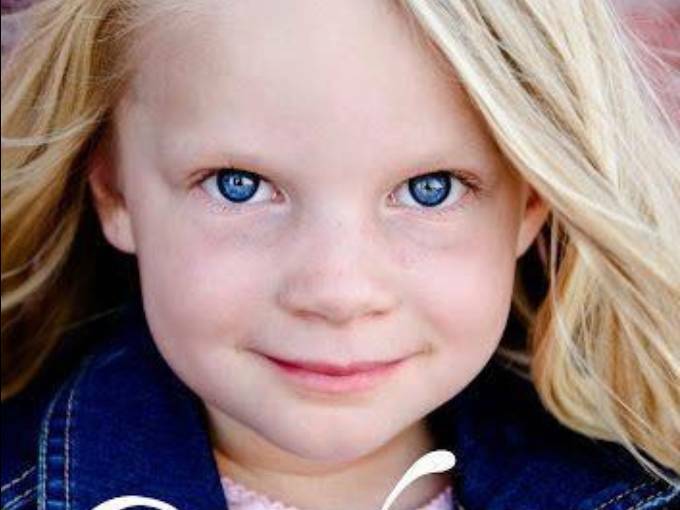 Father of Shooting Victim Emilie Parker offers condolences to the families affected by shooting. Many of these other countries also do not have this thing called the US Constitution and the Bill of Rights. I really do hope that all of you realize that the Bill of Rights, the first 10 Amendments, were put in place not to protect us from each other but from the Federal Govt. It hardly gives me a warm fuzzy when the very people that Our Rights from who we are supposed to be protected from, want to take them away and we allow it. These limitations serve to protect the natural rights of liberty and property. They guarantee a number of personal freedoms, limit the government's power in judicial and other proceedings, and reserve some powers to the states and the public. It seems to me that Reagan would have known all too well how to relate to last week's massacre at Virginia Tech. After all, he said those words in 1983, after surviving John Hinckley's assassination attempt in 1981. NEWTOWN -- When Sandy Hook Elementary School students return to classes, it will not be in the building where 20 of their classmates and six staffers were killed in a rampage Friday. Superintendent Janet Robinson announced Sunday that Sandy Hook students and staff will be relocated to Chalk Hill School in Monroe. "It is located just across the border from Newtown and should be ready for occupancy in just a few days," Robinson wrote in an email. "We will be able to publish the exact date shortly." Counseling will be available Sunday and Monday in two Newtown locations for students and adults as they deal with shootings in which a gunman killed 20 students and six staff as well as his mother and himself. Reed Intermediate School is open from 7 a.m. to 7 p.m. Sunday and Monday to provide counseling and the Newtown Youth & Family Services Inc. is open from 9 a.m. to 4 p.m. Sunday for emergency counseling at its office at 15 Berkshire Road. At both locations, walk-ins are welcome. "Schools will not open Monday, because my staff wanted a little more time,'' Robinson said. "On Monday, the staff will come in. We have received so much assistance, it's been wonderful. There will be training for our counselors as well as sessions with our staff about how to help kids get through this awful event." Tuesday will be a regular day for staff and students at Hawley, Middle Gate and Head O'Meadow elementary schools as well as Reed Intermediate and Newtown middle and high schools, Robinson said. Additionally, an Interfaith service in the Newtown High School Auditorium is to be held at 7 p.m. Sunday. This is where I think they want to take us, I think. As far as I'm concerned, Obama can keep sticking his finger in his eye to make tears. Shortly after they banned almost all guns - they then banned all guns. If this happens - we will be just as happy as England is now. I enjoy their accents, very much... but they are declawed house cats. Perhaps a bobby could question a perp into submission? Adam Lanza, the 20-year-old who killed 20 children and six adults in a rampage at a Connecticut elementary school, and his mother both spent time at an area gun range, ABC News has learned. A Bureau of Alcohol Tobacco, Firearms and Explosives spokesperson told ABC News investigators have determined Lanza did visit a gun range, but they have not determined whether he shot there. Investigators have also learned his mother, Nancy Lanza, visited a gun range on multiple occasions, but they have not determined whether her son was with her during those visits, the spokesperson said. Lanza, who was described by neighbors and former classmates as being very bright, took six classes at Western Connecticut State University in 2008 and 2009, beginning when he was just 16, and had a grade point average of 3.26. According to Paul Steinmetz, Director of University of Relations at Western Connecticut State University in Danbury, Lanza started at the school in the summer of 2008, took a couple classes that fall and then in the spring and summer of 2009. Lanza took courses in computer science, such as website design, the computer language called BASIC, and data modeling, as well as in philosophy, American history and economics. "Adam Lanza has been a weird kid since we were five years old," wrote a neighbor and former classmate Timothy Dalton on Twitter. "As horrible as this was, I can't say I am surprised." In school, Lanza carried a black briefcase and spoke little. Every day, he wore a sort of uniform: khakis and a shirt buttoned up to the neck, with pens lined up in his shirt pocket. A former classmate in his 10th grade honors English class, Olivia DeVivo, says he "was always very nervous and socially awkward." She told ABC News that "he didn't really want to be spoken to" and that when teachers would call on him "it appeared physically difficult for him to speak." Lanza avoided public attention and had few, if any, friends, though he was a member of the high-school tech club. He liked to sit near the door of the classroom to make a quick exit. THESE are the innocents of America’s Dunblane — each smiling face a heartbreaking plea for the nation to give up its guns. President Barack Obama last night hinted he is determined to end the lunacy, speaking at a vigil for victims of Friday’s rampage by Adam Lanza in Newtown, Connecticut. He suggested he is considering a radical move to ditch America’s historic right to bear arms in the wake of the Sandy Hook massacre. The President has come under pressure to bring in strict gun control laws after Lanza murdered 20 children and six staff at Sandy Hook Elementary School. And as he addressed a moving vigil at the High School in Newtown, Mr Obama suggested it was time for a fundamental change. Civil law is really not so far fetched. Page created in 5.8 seconds with 19 queries.